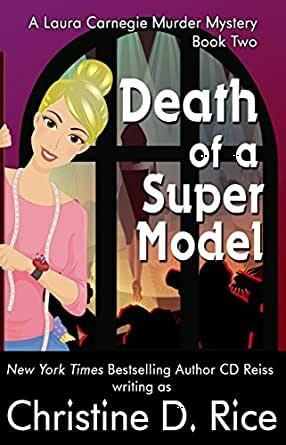 Death of a Supermodel (Laura Carnegie Mysteries Book 2) - Kindle edition by Christine D. Rice. Mystery, Thriller & Suspense Kindle eBooks @ Amazon.com. When stick-thin supermodel Thomasina Wente dies of poisoning, the irony isn’t lost on fledging designer and reluctant sleuth Laura Carnegie. It was widely assumed not eating would do Thomasina in, making her unglamorous exit twice as shocking for New York’s fashion aficionados. After Laura got to the bottom of the Pomerantz case, she decided sleuthing was too last season. She hopes Detective Cangemi can handle all the heavy lifting this time since plenty of folks wanted Thomasina dead: Bob, the football-star-turned-hedge-fund guru; Rolf, the sociopathic brother with skinhead connections; Roquelle Rik, modeling agent, and Penelope Sidewinder, model minder, the twin dragons of the fashion world. Yet, with so many leads to choose from, Cangemi focuses on Laura’s sister, Ruby. 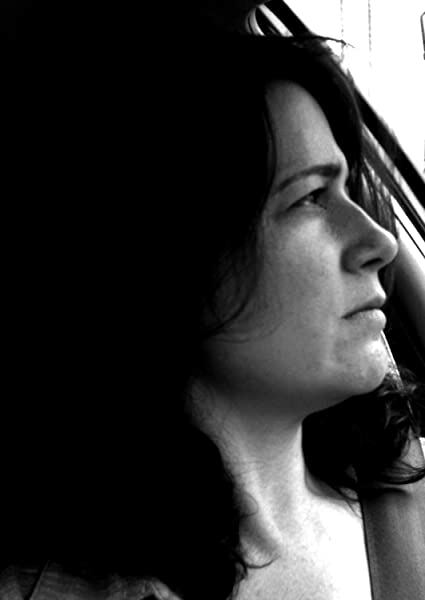 For Laura, her sister as murderer just doesn’t make the cut. In Death of a Supermodel, Laura Carnegie, her sister Ruby, Jeremy St. James, Stu, and a supporting cast of backstabbers, manipulators and ruthless ladder-climbers return for another merry go-round through New York’s fashion center. Really really enjoyed reading Ms. De Maio-Rice book: "DEAD IS THE NEW BLACK", her previous book and this is one, DEATH OF A SUPER MODEL is just as good if not even better. It was great getting acquainted with the characters from the first book and seen how things had developed since we last left them. Ms De Maio-Rice has an insight to the fashion industry that can only be described as viewing every thing with a jaundiced eye. In this case its not just the fashion industry that is viewed as such, but also the people involved in the fashion industry whose egos far exceeds their weight in gold. The witty and entertaining Ms De Maio-Rice describes the whole industry with such a charming wit that she brings it to life in front of your eyes as you read her books. Excellent story and with a protagonist that you feel like shaking some sense into now and again. Isn't it great to get that involved in a book!! happens far too few times. Also has to be noted the great cover which I am sure the author designed herself and well done in getting a great proofreader and editor, the book was a pleasure to read in every sense of the word. Laura's second trip into "Detective Land" made me smile and cringe as much as her first sleuthing adventures in Dead Is The New Black. I especially like her interactions with Detective Cangemi. He has a shrugging admiration for her even though she's a royal thorn in his professional side. If she weren't involved with Jeremy while pining for Stu, Cangemi would make an interesting romantic partner for her. For me, Death Of A Supermodel is a perfect follow-up to Dead Is The New Black. By this, I mean that it stands on its own, while evolving the way all good book series evolve . . . relationships grow stronger and encounter roadblocks, careers twist and turn, and family life solidifies even in the face of serious adversity. I hope a follow-up book is in the works, featuring a bit more of Mom and secondary staff members of Sartorial Sandwich. Is anyone else sensing that Laura may one day become the ruling force for Jeremy's company -- should cystic fibrosis end his life early? I sense him grooming her for such a role. If this development proves true, I hope it is many books away because I like Jeremy and want to see more of him. I would have missed so much if I hadn't read Dead is the New Black first. All the character development and main character relationships are established in that first book. Don't get me wrong, this is a very good read. Once again, the author does a wonderful job with the mystery and keeping the reader wondering exactly who is the killer. It just wouldn't have pulled me into the story as thoroughly without the background of these characters from the first book. There must have been some chapters proofread by different people, because the character of Roquelle Rik had her name changed to Rochelle and then back to Roqeulle at the end. I've had an author tell me that sometimes an writer will do something like that on purpose, just to see how thoroughly the readers are invested in the story. If that's what was done here, stop it! It's irritating and takes away from the flow of the book. I'm looking forward to another in this series. You don't have to be a fashionista to enjoy the Fashion Avenue series. (Until recently, I thought Blahnik had something to do with Eastern Europe or Russia.) The only requirements for appreciating these books are loving novels with fast-paced, convincing plots and characters one can care about. I enjoyed Black is the New Dead, and Death of a Supermodel is even better. As a former New Yorker, I love the settings and the characters who could be residents of no other city. Being totally unfamiliar with New York's fashion world, I appreciated the opportunity to see this complex subculture through an insider's eyes. Those who care about the labels inside their garments are likely to be even more enthralled by this aspect of the series. I'm hoping for another book by the author--soon. 5.0 out of 5 starsCatchy Plot and Good Characters. I really enjoyed the book. The setting, high fashion, is not typically an area that I would select and I was surprised that I got into the first book, but the relationship between the female lead and Jeremy is intriguing. The author's writing style is amusing but not snarky. Sometimes Ifelt like I was seeing one of those movies where you know the heroine should leave and call the police because there is murder behind the door...but you know she's going to open the door. I got to the point where I was really rooting for her. This is one of three in the series and the only issue I have with the novels is that they are supposed to be mysteries but ultimately that is lost in the love story. Because the characters in the love story are very strong, unique and interesting, it is by no means a fatal flaw. After reading Dead is the New Black, I was definitely looking forward to the second in this series, and though the ending was not what I expected, I was not disappointed in the outcome. The author's snarky, witty voice shines through with this book that opens up with the murder of a runway model. This time Laura's sister is the prime suspect in the murder, so she must, once again, set out to prove the innocence of someone she loves. Laura puts herself in some pretty sticky situations and even risks life and limb to prove her sister's innocence. This book exposes the ugly underbelly of the fashion industry, touching on subjects such as underage models, eating disorders and sexual abuse, but somehow, despite the many disturbing situations, the author manages to inject humor where you'd least expect it. Another amazing read!